Ifield’s first season in the Premier Division came to an end with defeat away at Middleton and they now go away to lick their wounds and prepare for the challenge of life back in Division 2. The game itself was largely decided when Middleton won the toss and openers Sean Heather and Jack Dawling put on a massive 252-run partnership against an Ifield side, yet again bereft of a meaningful seam bowling attack. Ifield’s cause wasn’t helped when Heather was given two lives - one a half chance to keeper Lex Wills down the leg side when on one - and a much more straight forward chance spilled by Dan Smith at mid-wicket when on 35. Heather went on to make 127 before being caught in the deep by Ifield skipper Jack Groves off the bowling of Harnoop Kalsi then Dawling was lbw to Dan Smith for 102. Middleton’s overseas player Mahesh Rawat arrived at the crease needing to score just four to reach 1,000 league runs for the season and he duly reached the impressive milestone on his way to an otherwise uneventful 13 not out. 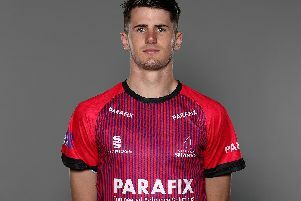 The other highlights in the innings were a wonderful running catch on the boundary from Jack Groves to dismiss Burrows for 18 and then three consecutive sixes from Colvin on his way to 24, off just 8 deliveries, at the end of the innings. The final total of 316 was impressive but not for the first time this season Ifield hung in there against the odds and showed great character, considering at one point a total nearer 400 looked on the cards. The Ifield reply started steadily enough, even if runs weren’t exactly flowing, and youngsters Krishan Nayee and Akshay Ramani put on a half-century opening stand before Nayee was lbw for 13. This was about as good as it got as the middle order failed to deliver and wickets fell at regular intervals, despite Ramani standing solid at the other end. Kalsi chipped in with 24 batting at nine and the last wicket to fall was Ramani for a classy 80, but Ifield were well short. Despite the disappointing season for the first team, both the 2nd and 3rd teams were promoted, the 3’s as division winners and the 4th team finished in third place. Overall from a club perspective it has to be seen as a decent campaign.